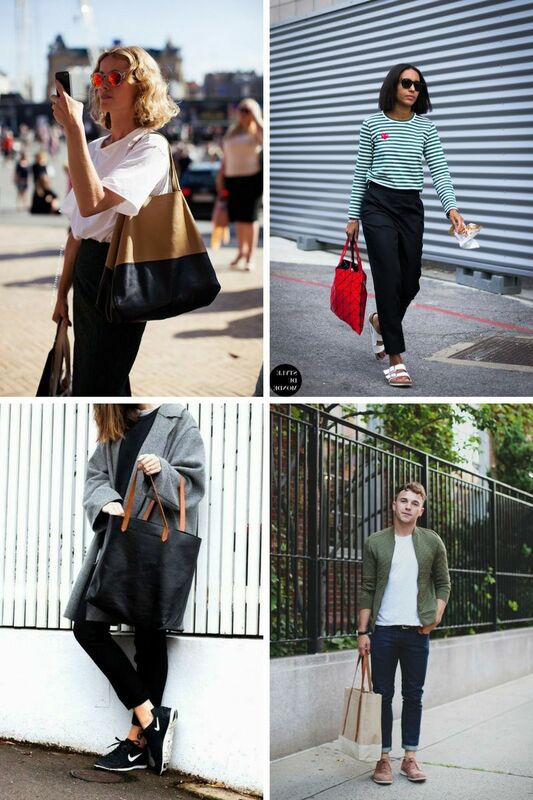 Today’s article is devoted to tote bags. This is an extremely functional accessory for young and older women who want to carry as many things as they can put inside their bags. When I was a little girl, I hated this bag, as I found it ugly and weird. But then I changed my mind. Why? I saw my life from a different angle, I started to notice the great functionality of this cool bag. 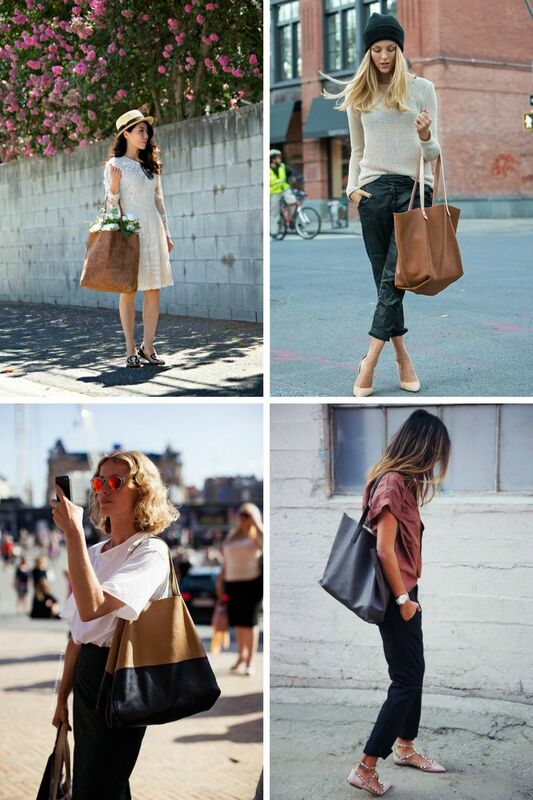 I am a big fan of classic tote bags, the big and slouchy ones with two handles, and no zipper to close. 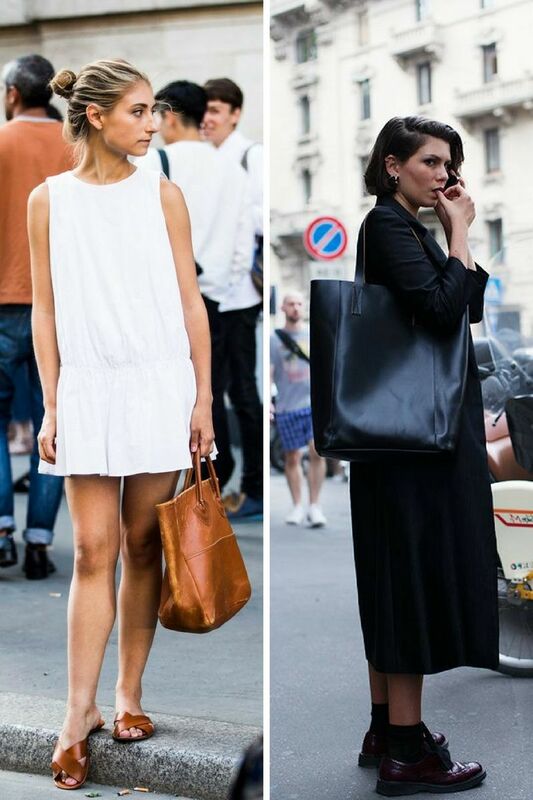 What is so special about a tote bag, anyway? The design is perfect: clean lines and versatility! The minimal look allows you to wear it to the office, morning brunches, Saturday night outs, market shopping, to picnics, to school and everywhere else you like. So, what are we waiting for? Let’s have a more detailed look and ways how to wear this functional bag in real life. 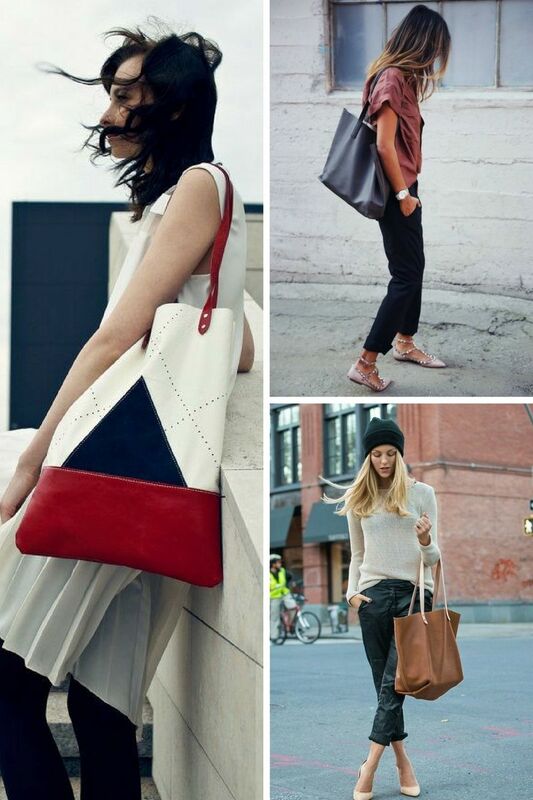 This minimalistic bag can be made of different materials, starting from canvas and plastic to leather and fur. You can free your mind and choose whatever color, print, and pattern you like. 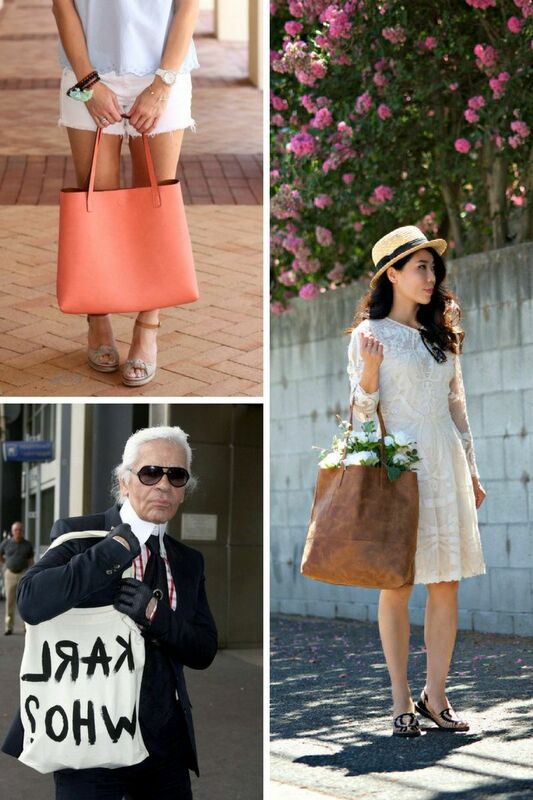 What I love about this bag is the design, it’s timeless and features classic cuts. No matter how creative your prerogatives of color and prints can be, the design will never change. 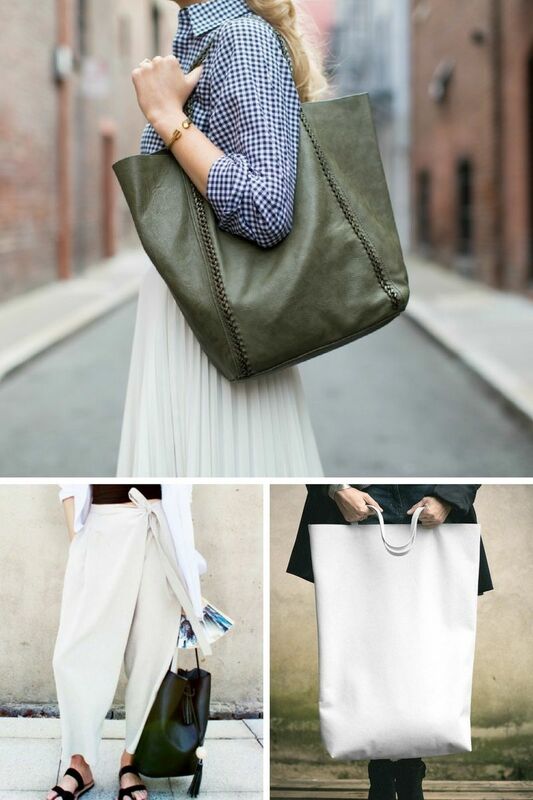 No matter if you go for creative print, or keep things simple by choosing neutral color tote bag, both ways work great! Trust me, you can have so much fun with this beautiful bag, all you need is to pair it with stylish outfit. In other words saying, this is a timeless invention, the same as little black dress, you can wear it from day to night, from Monday to Sunday. No matter if you are in your 20’s or in 50’s you gonna look fabulous with this bag.